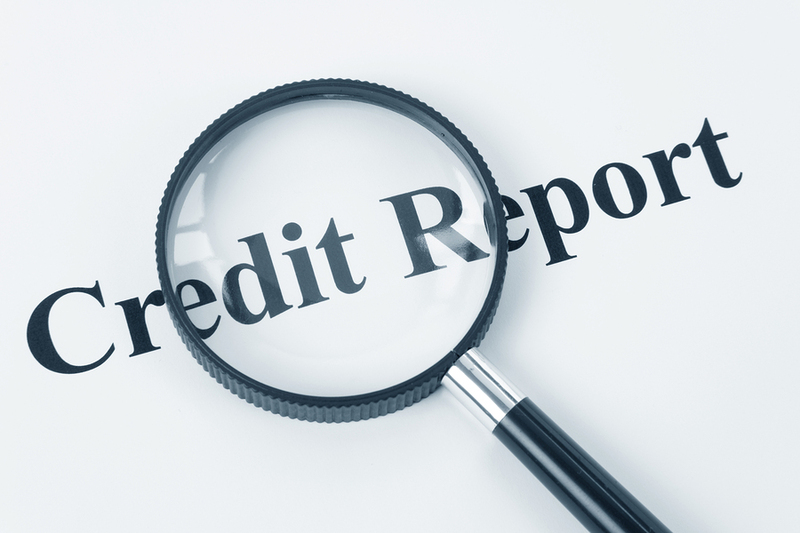 There are big changes to the way creditors report to credit reporting agencies. Changes that you will want to be aware of. In 2016 the three major Credit Reporting Agencies (CRA’s) stopped allowing the reporting of debt that did not arise from a consumer contract or agreement to pay. This included, but was not limited to; certain fines, tickets, and other assessments. Examples included library fees or fines, parking tickets, speeding tickets, and court fees or fines. In July of this year the bureaus began to exclude and delete currently reported tax liens and civil debts if reports on those obligations don’t include a consumers’ names and addresses, as well as Social Security numbers and/or date of births. The Consumer Data Industry Association (CDIA) indicates that many liens and most judgments don’t include all of this data, in part because Social Security numbers are often redacted for security reasons. Starting September 15, 2017 there are more changes coming. The three major credit reporting agencies will set a 180-day waiting period before including medical debt on a consumer’s credit report. The six-month period is intended to ensure there’s enough time to resolve disputes with insurers and delays in payment. In addition, the credit bureaus will remove medical debt from consumers’ credit reports once it’s paid or being paid by an insurer. Another, very relevant change on September 15th, is the requirement of a full Social Security Number or Full Date of Birth on all debts reported. We recently received communications, again from TransUnion, that either full Social Security Number or Full Date of Birth will be required after the Sept. 15th date. If you are a creditor that does not collect one of these pieces of data, you will want to adjust your policies to allow for reporting after this date. Contact our team today if you have further questions about these changes. In the spirit of the Xmas season that is upon us and the New Year that is right around the corner, this question is for all the professional Debt Collectors out there as we welcome in 2016. As a Debt Collector what is worth believing in? The Consumer Financial Protection Bureau (CFPB) believes in ‘…empowering consumers to take control over their economic lives,’ how about you? With the advent of the CFPB our industry is finally no longer an infant and has reached toddlerhood! Yes collections has been around ever since the first line of credit was extended and the first handshake agreement that binded the obligation was broken, but just because it’s been around for a long time that doesn’t mean the practice ever really grew up. Just like every animal in the wild and every company has a lifecycle, so too does every industry. And just like those animals and businesses, different industries mature at different rates. It just so happens that Collections is a late bloomer. For a long time the industry operated with the ‘pay up or (undefined) else’ mentality. The idea was simple, the more hours you worked, the more consumers you reached, the more ‘pay up or else’s’ delivered, and the more believable those undefined else’s’ were, the more money you made. Unlike other industries where CEOs come mostly from the marketing or sales ranks, CEOs and new business owners in Collections by-in-large can track their beginnings back to the Collector career path. As Collectors we know best, which has historically meant a ton of Collectors starting a ton of new businesses. Debts, like births and burials are an ever-increasing part of the economy. Many Economists project much faster growth for collections than other industries, some anticipate upwards of 20% rates of growth in the next three years. Part of the reason why we have been so slow to mature is because we are an unconcentrated industry. Each company that represents either first party collections, debt buyers, or third party debt collectors are all splinters of a larger branch. First party collections increase as necessary to meet their demand, but think about this, these creditors, they spend a considerable amount of time and resources to offer a service that only they use! Debt buyers pop into and out of existence like morel mushrooms in Northern Michigan in May. Third party debt Collectors make up the lion’s share of the industry with numbers in the thousands, but on average employ less than ten (10) Collectors. Banks and financial markets have consolidated both in organizational structure and financial product ideology. Commerce and Ecommerce is ruled by high-volume, low margin, industry giants. Tech companies build on existing products to create better, more user friendly…ones whose product manufacturing is outsourced to China or Malaysia. Manufacturing went from the assembly line to Lean Manufacturing. Healthcare offers inoculations, antibiotics, differential diagnoses, and the beat goes on. Freight and trucking has Just-In-Time (JIT) logistics. Dial a call center and chances are you’ll be speaking with someone a world away in Mumbai, Delhi or Chennai India or Manila in the Philippines. What these industries have in common is one or several ways that are best for the bottom line at conducting business. The Collection industry does not have this level of consolidated knowledge and business practice. This doesn’t mean that Collection companies haven’t and aren’t currently experimenting with Kaizen-esc continuous improvement; Outsourcing collection calls…and seeing recovery rates drop (big surprise); Autodialing phones with predictive dialers…and defending TCPA and class action lawsuits; Vendors for everything from VoApps and voicemail drops, to RevSpring and letters, to Knowledgelink and continuous improvement training & testing; to CallMiner and data analytics as part of a robust compliance management system; etc… After all, this is what toddlerhood is really all about, an era of great experimentation…and emotional and social development. On the whole, that ‘emotional and social development’ we have the CFPB to thank for. Just a few years ago there were over 4,800 collection agencies all operating independently of one another. The likelihood that the collective bar could have, let alone would have, been raised without oversight was slim to none. Without the CFPB I dare say the Collections industry would have remained in its’ infancy. Thank you Consumer Financial Protection Bureau. Stop for a minute and think about what emotional and social development means. It means adopting the ACA’s Collector’s Pledge. It means exercising the Golden Rule. It means stepping outside the box of commonly held beliefs and doing things differently like training and developing the Emotional Intelligence of our employees. At the beginning of this blog I asked what is worth believing in. Here is my answer. People are basically good. Honor, Honesty, and Courage mean everything. When you stop focusing on the money and start focusing on helping people, when you’re passionate about what you do, that’s when you become successful. The money follows, but it’s a byproduct of believing in the importance of professional, ethical, and responsible collections. Although we may walk a little unsteadily still, as Toddlers often do, we have and will continue to make great strides as an industry. Merry Christmas, Happy New Year, Happy Everything. What debt collection laws does my business need to follow? As a collection agency, we need to follow many state a federal laws when it comes to contacting and with working with consumers. And your business should be following these laws as well. The Consumer Financial Protection Bureau or (CFPB) was established to protect consumers. And that means that any first-party creditor, which means you, needs to follow certain guidelines when trying to get your customers to pay. Our latest video gives you some guidance to help you stay compliant in your internal debt collection efforts. Take two minutes to view the video as well as view our resources section of our website. And as always, never hesitate to contact our team for additional help with your receivables. On October 17th, Sean Lennon, Mike Hiller, Greg Desana and I attended the Michigan Association of Collection Agencies Annual Educational Program in East Lansing, MI. Attorney Charity Olson did an FDPCA review that, as always, was extremely informative. Her practice is primarily handling lawsuits against debt collection companies and their collectors, and her presentation regarding the FDCPA is a must-see for all collectors. Her presentation delved into preventing FDCPA lawsuits based on her experience handling lawsuits against debt collectors. Her insight, experience, and expertise in interpreting the FDCPA is both very impressive, and very interesting. What never ceases to amaze me is just how compliant we as a company already are. Many of her suggestions for best practices are already our standard procedure. It can be pretty intimidating hearing about all the different cases filed against debt collection companies, but it is always a relief to know that I work for a company that sets such a high standard when it comes to compliance with collection law. I can’t wait to attend next year, and hope to bring more of our collectors as well. Thanks to Mike, Greg, and Sean for coming along. It was a great and informative event!! !